As we look to build upon the statement in 2018 and 2019, we see that, at the centre of WTO legitimacy is the notion of “trade impacts.” Policies that have clear and adverse trade impacts find their way onto the WTO agenda, while others struggle. So far, fossil fuel subsidies have struggled to reach the WTO agenda. This is not because there are no trade impacts, nor because they might not be averse, but more because they are unidentified, complex or not easily understood. 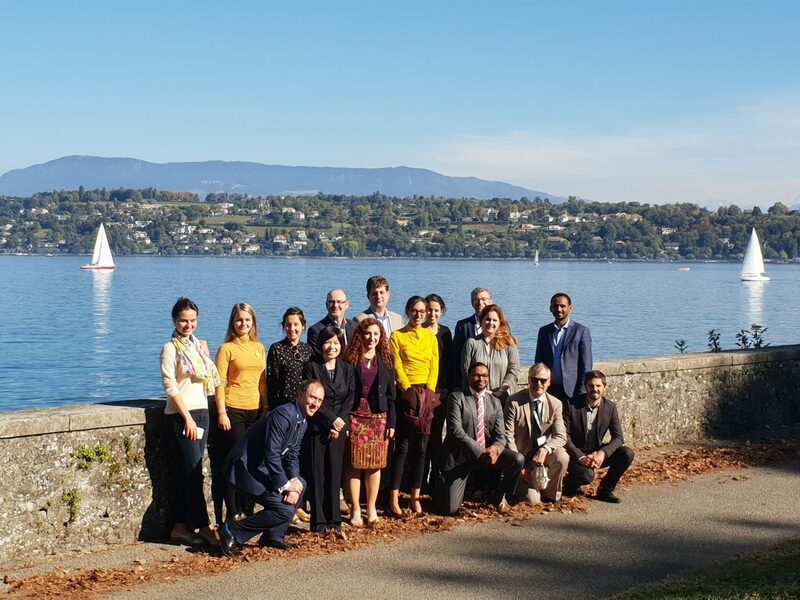 To improve our understanding of the trade impacts of fuel subsidies, the Geneva-based Global Subsidies Initiative (GSI) of the International Institute for Sustainable Development (IISD) and the Centre for Trade and Economic Integration (CTEI) of the Graduate Institute for International and Development Studies (IHEID) convened a research workshop on October 5, 2018. Fossil fuel subsidies have struggled to reach the WTO agenda not only because of a lack of clarity, but also because of differentiated interests between energy importers and exporters. This has caused some pessimism about whether fuel subsidies can ever reach the WTO’s core negotiations. Ambassador Walker of New Zealand opened the workshop by communicating his and others’ determination to advance the need to address fossil fuel subsidies in the WTO. 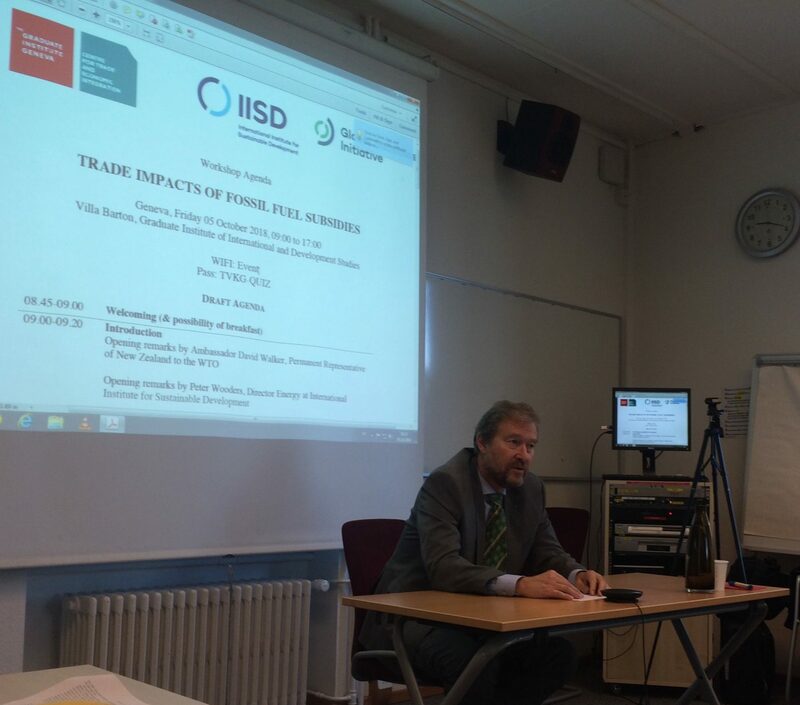 He invited research on trade impacts to facilitate this process. The first collection of research on trade impacts was provided by both academic and institutional researchers. Researchers affiliated with the Organisation for Economic Co-operation and Development (OECD), the International Monetary Fund (IMF), the World Bank and the United Nations Framework Convention on Climate Change (UNFCCC) presented research on trade impacts, indicating their clear support for the WTO to play a more active role. In addition, academic researchers from the Oxford Institute for Energy Studies, Victoria University, Columbia University, International Food Policy Research Institute (IFPRI) and the Graduate Institute of International and Development Studies introduced novel academic research into fuel subsidy trade impacts. They suggested the potential of using computable general equilibrium (CGE) models, input–output tables, regression analysis and spatial difference-in-difference models to better unveil clear fossil fuel subsidy trade impacts. There was a consensus among researchers that the trade impacts of fuel subsidies are prolific. The research results from this workshop will be compiled in a special issue of World Trade Review, an independent journal established at the initiative of the Secretariat of the World Trade Organization. But this is only the beginning. The research consortium identified the need for more modelling to unravel and measure the actual effects on trade. This would include a better integration of the CGE research community. The group suggested beginning with the fossil fuel subsidies with the worst trade impact. They also indicated the desire to complement quantitative research with a political economy angle. Right now, vested interests are keeping fuel subsidies out of the WTO, so it is deemed necessary to understand these interests better. Finally, this new research community asserts that trade impact work needs to support the SDG 12.c target of fuel subsidy reform. As such, they want to clearly distinguish fuel subsidies according to different categories (e.g., fuel, electricity) and sectors (e.g., industrial energy, producer subsidies). GSI is keen to support this new research community and will integrate their advice into an action plan to reform fossil fuel subsidies within the WTO.